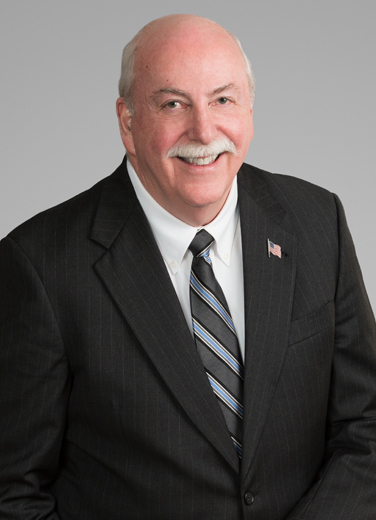 John Wilson has been litigating for nearly five decades and has been involved in many of the key legal issues in oil and gas, expropriation (condemnation), commercial matters, professional liability, tax, and construction contract litigation in state and federal trial and appellate courts throughout Louisiana. Today John’s practice is largely focused on pipeline servitudes (easements) and expropriation suits, involving pipeline and underground storage projects from inception to conclusion for natural gas, crude oil, and liquid hydrocarbons pipelines. He began handling cases dealing with natural gas contracts, pricing and market value royalty disputes in the early 1970s. Later, he moved on to the take-or-pay era of the late-1970s and early 1980s in the energy industry. During these same periods, he also handled an increasing volume of expropriation litigation and spearheaded major natural gas underground storage projects. In the 1980s and 1990s, his focus expanded to include excess royalty disputes and litigation. John litigated contract disputes, exploration and development disputes, expropriation matters, land ownership matters, the defense of mineral lessor/landowner/royalty owner suits, product marketing issues, and environmental/land damage claims. Additionally, he assisted in challenging ad valorem tax rates and valuation procedures used by the State of Louisiana in an effort to increase tax collections from the natural gas pipeline industry. At one time, John had tax refund suits pending in all of Louisiana’s 64 parishes (counties). He has represented a number of clients defending severance tax collection suits brought by the State of Louisiana against crude oil producers. John was involved in successfully challenging in the United States Supreme Court the First Use Tax that Louisiana imposed on natural gas. John’s litigation experience includes class action disputes, suits involving the federal multidistrict litigation procedures and suits brought under the federal False Claims Act. He has been active in various alternative dispute resolution activities, such as arbitration and mediation, both as counsel representing a client in such matters and as an arbitrator or mediator. Beyond his representation specific to the oil and gas arena, John has represented a diverse group of clients that include agricultural companies, banks, industrial concerns, insurance companies and other commercial entities, lawyers and law firms, and the Federal Deposit Insurance Corporation. He has represented these clients in a wide range of civil disputes and lawsuits, including diverse commercial disputes, director and officer and professional liability litigation, tax suits, and other commercial disputes. John is a Fellow in the American College of Trial Lawyers and American and Louisiana State Bar Foundations. Before entering private practice, he served in the United States Army, Judge Advocate General’s Corps as both a prosecutor and criminal defense counsel and in the claims field, as well as providing legal advice and representation to individuals serving in the Armed Forces. He was assigned to the Judge Advocate General’s School at the University of Virginia in Charlottesville, Virginia, Fort Sam Houston in San Antonio, Texas, the Republic of Vietnam, and Fort Monroe in Hampton, Virginia. Among other awards, John received the Bronze Star with Oak Leaf Cluster, the Air Medal, and the Army Commendation Medal. John represented major interstate pipeline companies in acquiring servitudes by contract and by expropriation for underground storage projects. Also, he assisted both interstate and intrastate natural gas pipelines and petroleum and products pipelines in hundreds of instances of obtaining servitudes and in expropriation suits. He has represented major players in the oil and gas industry in myriad commercial disputes and law suits, including royalty and product sales disputes, land and lease ownership issues, matters arising out of joint operations, tax matters with governmental agencies, and virtually any type problem an oil and gas entity can have. He has defended lawyers and law firms and their insurance carriers in professional liability matters. In representation of the Federal Deposit Insurance Corporation, John obtained the largest recovery the FDIC had to that point in time. He also represented an agricultural company in defending multiple lawsuits around South Louisiana arising from rice purchase futures contracts. Best Lawyers' 2019- Litigation- Environmental "Lawyer of the Year"
Best Lawyers’ 2013 New Orleans Litigation – Environmental "Lawyer of the Year."